Dr. Catherine Q. Sanaani is from the Philippines. She earned her medical degree from Southwestern University MHAM College of Medicine in 2009. She finished her postgraduate internship in one of the teaching hospitals in Cebu City, Sacred Heart Hospital. In 2011, after passing her boards, she immediately worked as a general practitioner in a government hospital in Northern Mindanao for 2 years. She attended patients in the Emergency Room and OPD, and has encountered various medical cases from acute to chronic illnesses. 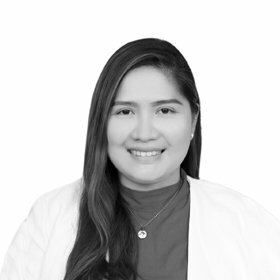 She also has a brief experience in Anatomical and Clinical Pathology when she joined the residency training program in Cebu Doctors’ University Hospital. In 2015, she came to Dubai and worked in one of the polyclinics in Satwa for more than a year. She continued to manage patients from different walks of life where majority are kabayans. Among the cases she has managed and treated were common illnesses, including infectious diseases; acute and chronic diseases such as Diabetes, Dyslipidemia, Hypertension; and common respiratory diseases.